Baltimore, MD, USA — A giant bowl of pasta, evil looking clowns, a dentist carrying what looked like a DeWalt drill, and a myriad of colorful balloon animals were but a few of the fear-inducing surprises that were featured during the ribbon-cutting ceremony for Lake Compounce’s newest attraction Phobia Phear Coasteron May 7th. Twelve contest-winners, each with at least one of the incredibly unique fears—including being terrified of roller coasters, had to face their fears at the opening ceremony before they became the lucky first riders on Phobia Phear. After the contest winners’ first ride, Phobia Phear officially opened to the public. 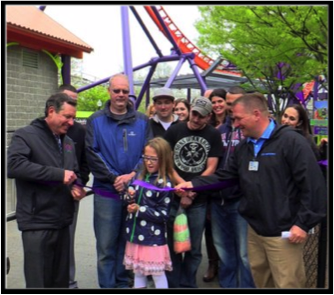 The park’s opening day crowd appreciated that they could now experience New England’s first launch coaster that also boasts the tallest inversion in the region. The ride has become an instant hit, generating heavy social medial traffic and buzz in the region; one fan even wrote and produced a jingle for the coaster. 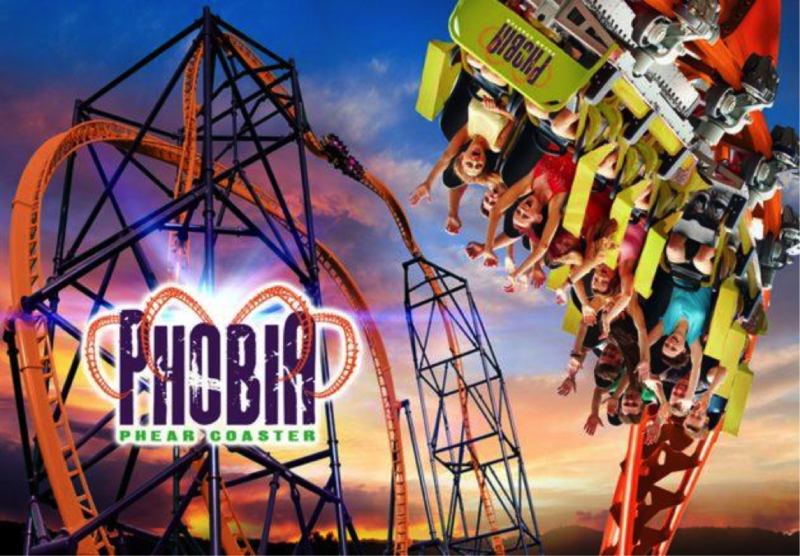 Phobia Phear is a triple launch coaster that is based on the award-winning SUPERMAN Ultimate Flight located at Six Flags Discovery Kingdom in Vallejo, California. Phobia Phear has the most current launch system technology which includes a new state-of-the-art energy storage system that allows the ride’s control system to create a powerful magnetic wave with a very low power consumption level. This magnetic wave powers the coaster, catapulting it up to its record inversion 150 feet in the air. With the exception of the coaster train itself, there are virtually no moving parts on the ride which makes the attraction very reliable and maintenance friendly. The riders are first shot out of the station up to a height of 50 feet. Gravity pulls them rapidly back into the station where the guests are launched backwards up to a height of 100 feet. Again gravity takes control and brings the train once more back into the station where the final launch is energized and the riders shoot up a vertical twisting track to the highest point on the ride where a tantalizing slow roll places the guests upside down 150 feet in the air. After executing the roll, guests enter a face-first vertical drop, ending in a twisting loop where riders will experience exciting Gs. The riders then drop toward ground level where the train once more shoots through the station and then is smoothly brakedusing magnetic technology as it comes to a stop in the station. “This ride is for someone who likes to be scared,” Sara Frias, Marketing Director for Lake Compounce gleefully notes. “Phobia is different because it is….just the most thrilling experience you can have on a ride. We just felt like it is really time for us to add something that is not just for kids,” Frias added. 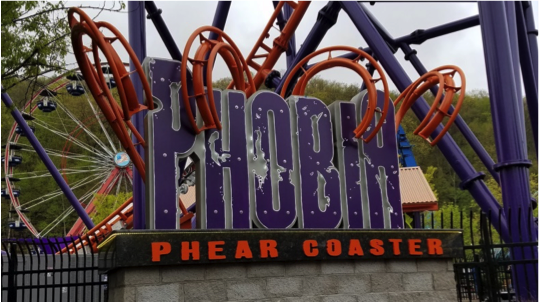 Phobia is the first new roller coaster at Lake Compounce since the year 2000.